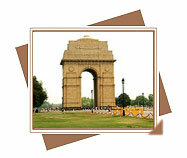 North part of India covers the Capital of India, Delhi. 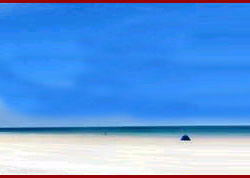 North India the most beautiful part of India. 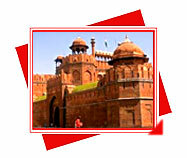 North India is an important tourist destination. If you are Travel to North India then you see, the cold atmosphere of the uppermost northern part and the cool lovely climate of the lower northern part make it different. 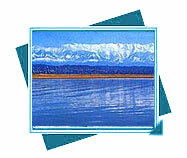 The Himalaya adds the beauty of this part. Himalayas, the highest mountain range in the world, extend along the northern frontiers of Pakistan, India, Nepal, Bhutan, and Burma. North India Tour provides information of wide range of tourist destinations and spiritual places that purify your spirit and refresh your body and mind. It is here that the deep love of one man for one woman created the Taj Mahal; where the sacred Ganges flows past holy cities. 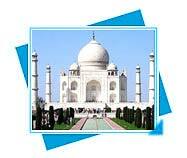 Taj Mahal one of the Seven Wonders of the World built by Emperor Shahjahan. Renowned for its spectacular architecture and aesthetic beauty, the Taj Mahal is also a symbol of enduring love, built by Shah Jehan to house the grave of his beloved wife, Queen Mumtaz Mahal, who died following the birth of their 14th child. 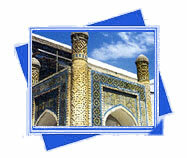 Taj Mahal is synonymous with India. 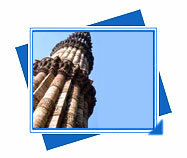 It is the most familiar travel icon of India. Taj Mahal is the mausoleum of the Mughal Empress Mumtaz Mahal, built in her memory by her husband Shah Jehan (the Vth Mughal Emperor) after her death. It was Shah Jehan's everlasting love for Mumtaz that led to the genesis of the Taj Mahal. After 22 laborious years, and the combined effort of over 20,000 labors and master craftsmen, the complex was finally completed in 1648 AD on the banks on the river Yamuna in Agra, the 17th century capital of the Mughal monarchs. 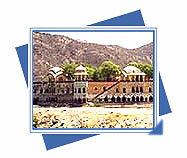 Jal Mahal is a pleasure palace located at Narnaul in Mahendragarh District of Haryana. Representing a mixed architecture of Persia and India, it stands in the middle of the tank Khan Sarovar. 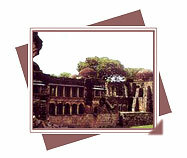 The palace was built in 1589 by Shah Quli Khan, a commander of 'Four Thousand' under Akbar. The beautiful tomb committed to Khwaza Khizr was built over the mortal remains of a local saint, who flourished during the reign of Ibrahim Lodi (AD 1517 - 1526). Maharana Pratap Sagar is at 450 meters above sea level, 32 degrees North and 76 degrees east. 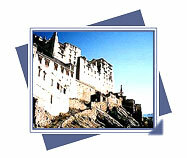 In district Kangra, 170 Km from Chandigarh, 110 Km from the district headquarters Dharamshala. 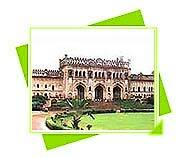 The Bara or Great Imambara (an imambara is the tomb of a Shi'ite Muslim holy man) was built in 1784 by Asaf-ud-Daula.